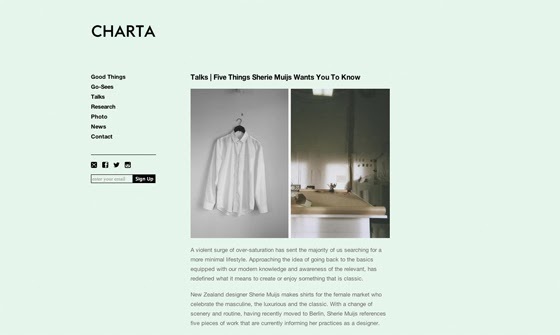 Introducing Charta, a very recently launched online magazine with contributors from across the globe. Charta asked Sherie Muijs to share five things currently of interest and informing her work. Check out her recommendations and be sure to sign up to join forces with this new and exciting online publication!